Just last week we were speculating what would happen if Steph Curry and the Golden State Warriors were sent home packing by the Oklahoma City Thunder after a historic 73-win regular season. But not these Warriors. The team banded together and won three straight games, overwhelming the Thunder with their patented three-point shooting and a resurgence from the two-time MVP. 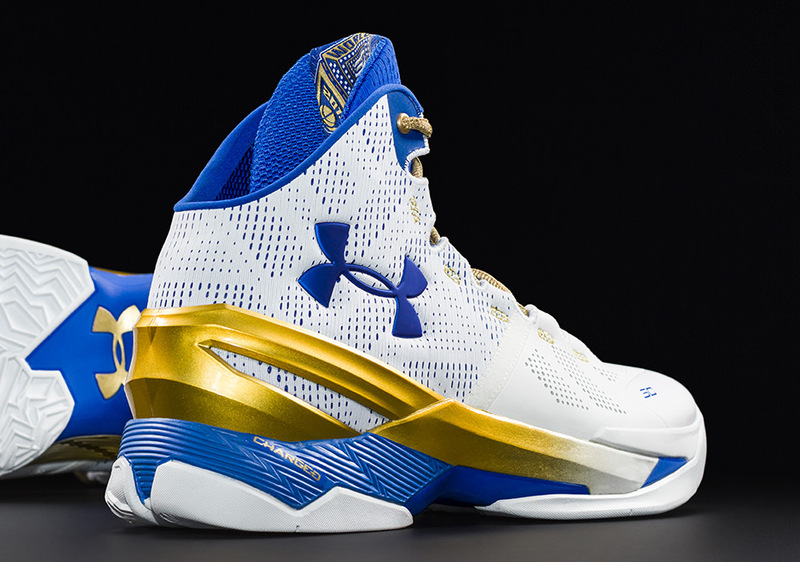 Now Under Armour won’t have to can any off-season special edition Finals-themed UA Curry 2 pairs like this upcoming Under Armour Curry 2 “Gold Rings” slated to release June 4th just in time for Game 2 of the NBA Finals. 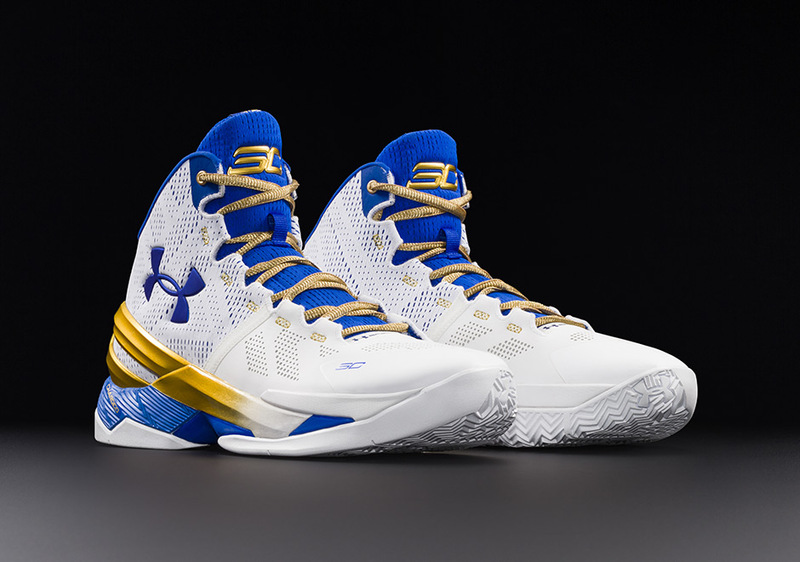 The pair takes the Warriors’ signature royal and yellow colors to task by adding a premium gold standard on the heel cage and midsole gradient while the inner tongue lining displays a graphic of 2015’s championship ring. 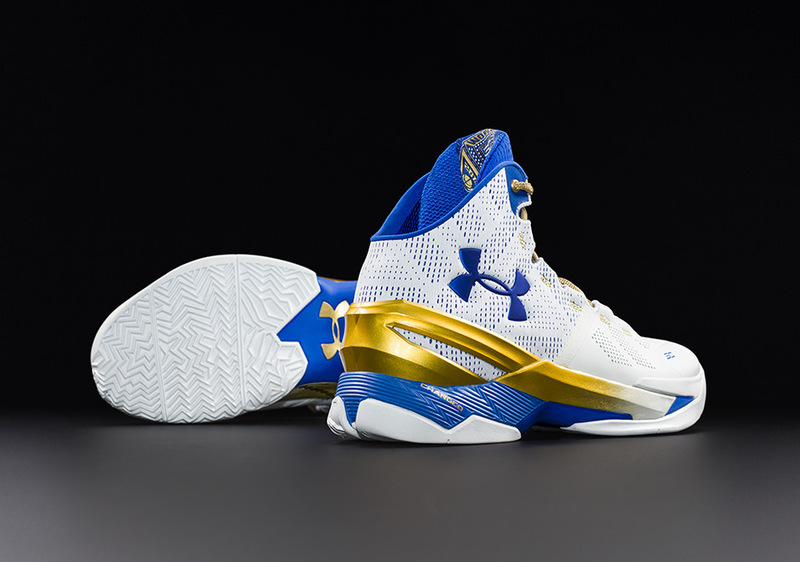 What do you think of this pair and who do you have in this year’s NBA Finals rematch? Check out official photos below and head to our release dates page for a better look at more upcoming sneakers.